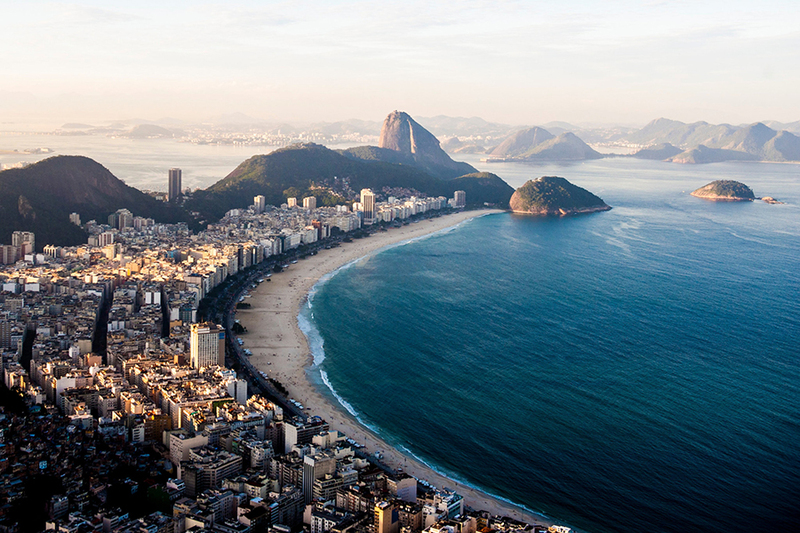 Rio de Janeiro – Brazil 2016 starts on August 5, and both the Interim President of Brazil, Michel Temer, and the International Olympic Committee, Thomas Bach, gave the last tour to check the installations. The games are almost here, and both men openly say that Brazil is more than ready to host the world famous event. The country is going through a real lot, and many groups criticize the governmental decision of investing in a sports game, but according to Bach, the games might be what the Brazilian people need to blow some steam and ease tensions. Saying that Brazil is going through difficult times would be an understatement. There is an enormous political scandal which forced the elected president Dilma Rousseff to temporary leave her post as president. Also, there is a crippling economic recession that is slowly affecting all the countries at a local scale, and there is even people saying that Zika would further spread if the country hosts the Olympic Games, even though the World Health Organization itself clarified that the chances of that happening are virtually zero. The organization held a meeting with a lot of prominent experts that helped the organizers of the event to take proper prevention measures. It is precisely the monetary aid from the current administration that has been criticized so much by a lot of Brazilians, and the opposing parties have used the argument to back up their political agenda. Moreover, according to local and foreign media, the facilities were not entirely ready, and there were rumors about the International Olympic Committee being concerned about the situation. However, its president, Thomas Bach carried on with the last tour to check everything up, from the buildings to the basic services and transportation, and he overthrew any all the gossip. Ruben Limardo became a hero back in 2012 at the Olympic Games in London when he snatched the first gold medal for his country in 44 years and became the first Latin American person ever to achieve the feat in fencing. At the event, Limardo managed to eliminate number one and two in the world rankings, Paolo Pizzo, and Max Heinzer respectively, before going against Bartosz Piasecki, the man who rejected the U.S’ fencer. In a show of pure prowess, The Venezuelan fencer won the match after struggling a little taking the precious gold medal to his country overseas. Since then, he has won many events such as the 2015 Pan American Games in Toronto and the Pan American Championships in Chile, both the same year. “It would be fantastic to win two medals at a single Game. That would be so exciting for us all,” said Limardo, who is the most famous member of the group of athletes that are going to represent Venezuela in the games at Rio. Soccer is a religion in Brazil. La Selecao is world famous being the one with more finals at a FIFA World Cup, but for some reason, La Canarinha has not been able to win the gold in the Olympic Games which talks a lot about the difficulty of the scenario. That does not mean the Auriverde has not won anything, they have three silver and two bronze medals, but Neymar, the new face of Brazilian soccer, said he hopes this year is different and that his team is going to work very hard to earn the gold. La Selecao could achieve the dream in the best of the scenarios, the Maracanã in Rio. The Torch is one of the most emblematic and powerful signs of the Olympic Games, and as it is custom, it traveled all around the country bringing joy and happiness to everybody. On June 9, the Torch relay was welcomed by the people at Massapê where they built their podium and gave fake medals. Next day, the Olympic flame reached Piauí and continued its way to the State Capital Teresina. There, a celebration was held when the Torch arrived with dancers, music and much more. Saturday 11, the flame came to Las Palmas where the Athens Athletic Association is based. Finally, June 12 which is also Brazil’s Valentine’s Day, the last torchbearer arrived São Luís in Maranhão where a huge celebration took place. This is proof that in spite of everything that is happening in the country, the event is giving happiness and hope to a lot of Brazilians.